The DRT40PF direct-vent fireplace offers a three-sided, peninsula configuration that serves as a primary focal point in the home. With an exceptional glass viewing area on three sides and the intense flame presentation of a 37,000 BTU pan burner and painted black interior, the DRT40PF creates a beautiful, natural-looking fire that enhances the comfort and elegance in several rooms. 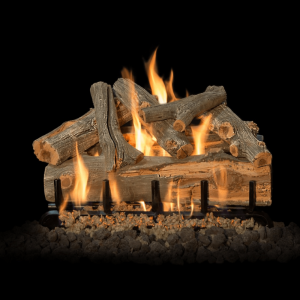 These models include a powder coat finish, deluxe split oak log set, tempered glass, decorative volcanic stone. Categories: Fireplaces, Gas Fireplaces, Hearth.